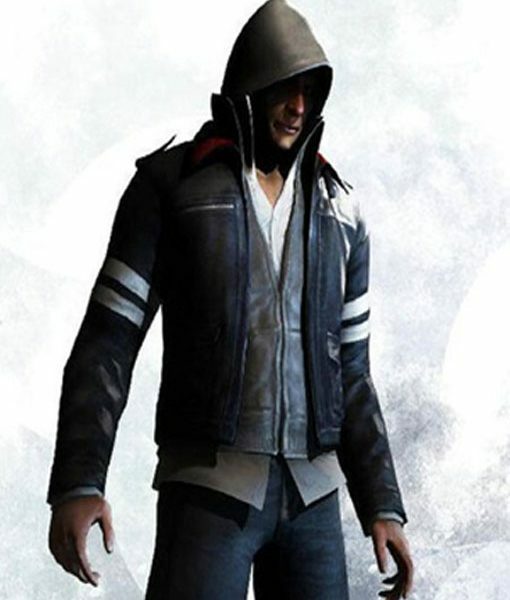 Here is the jacket that you desired to wear while playing Prototype game, the Alex Mercer Jacket that is available here is the very same design and style. You will be glad to have this jacket in your wardrobe. 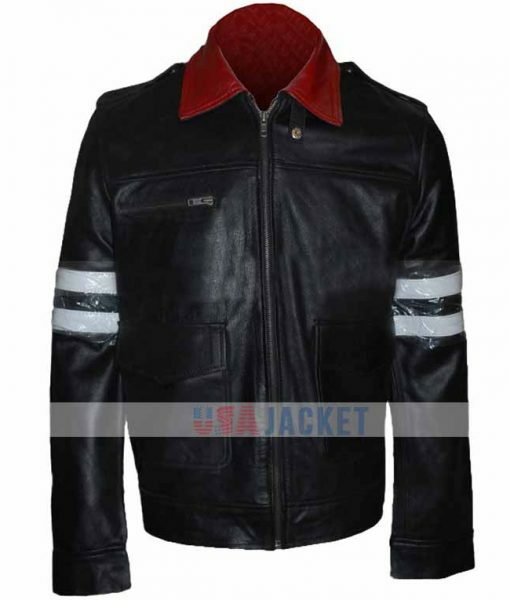 The Prototype Jacket is assembled by using PU leather material with inner viscose lining. 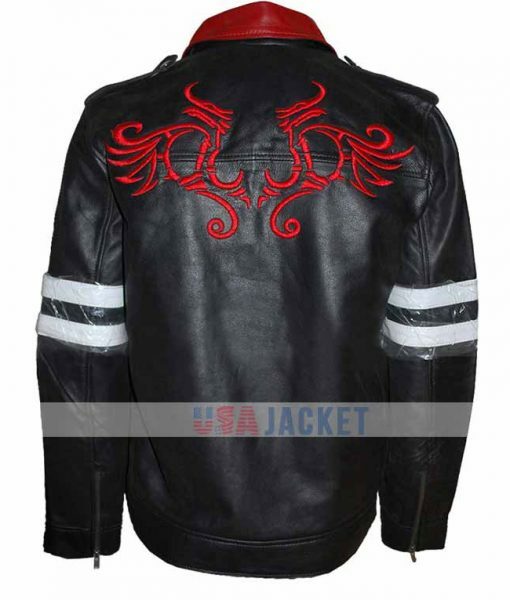 It has covered the exact logo of dragon on the back of the jacket. 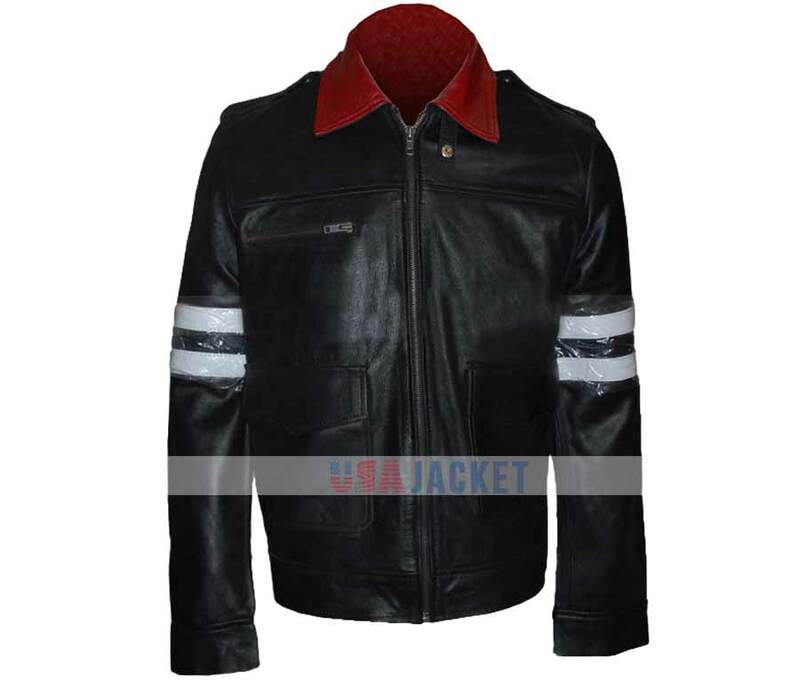 There are three outside pockets with full front zip closure and snap tab on shirt style collar. 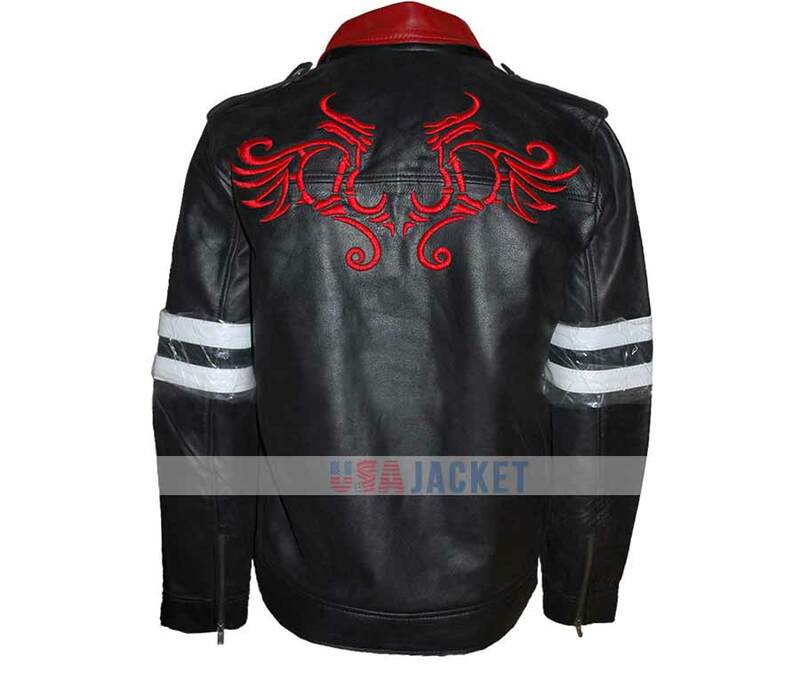 There is parallel white stripes on both the sleeves on the jacket and has zipper cuffs. This is a must buy jacket for you.